Saint Clair Systems is the only company that has built its entire business on controlling temperature where it matters most – at the point of application. When developing solutions for temperature control, Saint Clair Systems always starts at the point of use and works backward to the source. 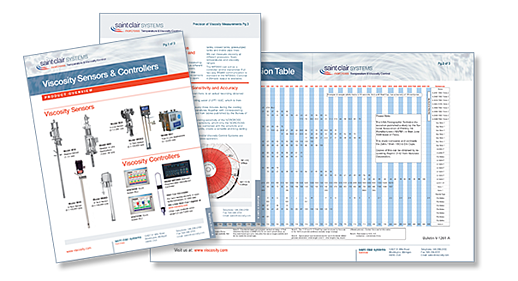 We use a variety of temperature-sensing devices and select the best fit for your application. When material has been bought to the right temperature and temperature control is needed all the way to the point of use, our patented water traced hose covers are often the best option. Water traced hose covers use the same water as the temperature control unit (TCU) and heat exchanger (HX) to change the material temperature. Lightweight and flexible, these point-of-application covers work very well in high-motion and oddly-shaped applications. 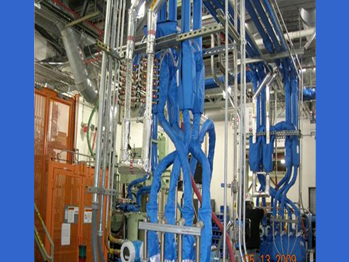 While technically not heat exchangers, water traced hose covers do create a controlled environment around the material path (hoses, fittings, etc.) that prevent heat loss or gain. 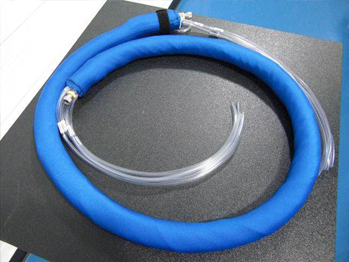 The patented SOFLEX™ Whip Hose is a variation of the water traced hose cover. Lightweight, soft, and very flexible. Ideal for high-motion robotic or manual applications. 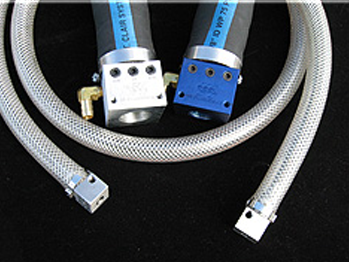 Adaptable to virtually all hose types and sizes and can be used with most all adhesive, sealing, and coating materials. Designed for limited motion point-of-use applications, our coaxial hoses surround the material path with temperature-controlled water to create a flexible tube-in-tube heat exchanger. Our proprietary hose block design is available in single core and duplex designs (for 2K applications). 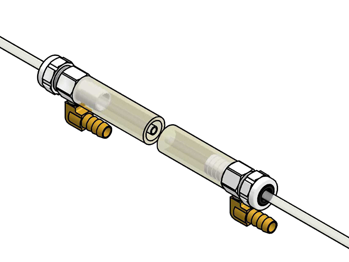 Both single core and duplex designs have provisions for a temperature sensor at the outlet of the hose to measure and control material temperature. Our patented point-of-application Re-Corable Coaxial Hose Heat Exchanger is used in production for validation testing. The tube-in-tube heat exchanger design allows temperature control to be added without any change in the existing material flow path. The system is flexible enough to use in robotic or manual operations and provides temperature control all the way to the gun. Our patented profile traced covers are the ideal heat exchanger when the pipe carrying the material from storage to the dispense valve is exposed. 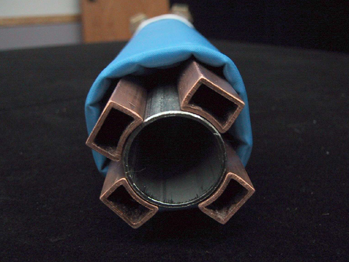 Exploiting the conductive properties of copper, we are able to convert any pipe or header into a tube-in-tube heat exchanger. The physical isolation between the material and the temperature-controlled water makes this design ideal for urethane and other hydrophilic applications. This design is easy to install and can be implemented without any interruption to normal production.